Costa Rica is a small place which has many attractions to offer. It only has 51 100 square kilometers, but it is certainly a spot for those who enjoy adrenaline; no matter if it is in the land, in the air or in the water. Costa Rica, as a country, is beautiful in every inch and the landscapes it owns allows the visitors to do so many different activities; and, of course, sports are one of the most attractive ones. Many of the vacations tour packages let you to choose between practicing an adventure sports or not; and to be fair many of tourists just cannot pass up the opportunity to get into one and live to the fullest with the adrenaline max out. 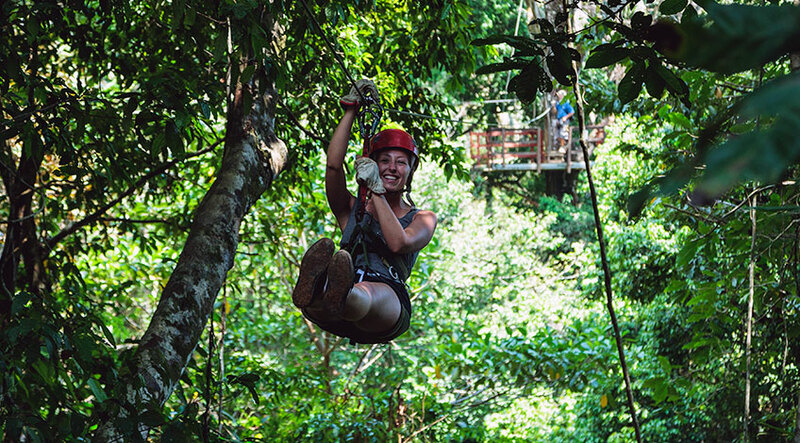 For your family adventure vacations one of the best options is to take a canopy tour, as it let visitors to explore in a unique way the elevated ecology of the rain forest, plus you can take a good look at most of the plants and the enormous animal species the jungle has to offer. If you are more adventurous and want to challenge yourself, you can try the parachute jump, it will help you to unload the adrenaline on a maximum level. Costa Rica tours, should include some kind of activities like these, we can assure that you will relax and forget everything by a moment, and just imagine you jumping from an aircraft, falling down just with a parachute, you can have like a “bird’s eye view” of the beautiful landscape. Have you ever flown like a bird? Maybe the right opportunity will be during your Costa Rica family adventure holidays: the paragliding will allow you to enjoy the beautiful landscape, enjoy the wind moving your body and be loaded with adrenaline, this is a possibility that you can do while are staying in Costa Rica. Gondolas are a nice activity that can be enjoyed during your family adventure travel, it is a soft activity on the air, but depending on where you do it, you will be in contact with nature, is a great way to admire the biodiversity that Costa Rica has to offer, this is recommendable if you are traveling with young children. Also, if you do not enjoy water sports you will have several different activities perfect for you and your family; to find yourself connected with the nature and the “daredevil” in you. For example you can try climbing; it is secure, different, and it is really fun. Of course a specialist will teach you in a few classes whether you want to do climbing with ropes, vertical rescue. If you like animals and want a little of adventure, on your family vacation, the horseback riding is something that could adjust to your Costa Rica trip. There are a lot of beautiful sceneries in Costa Rica, to do this activity, it could be on the beach, amidst the cloud forest or rain forest, and most of the horses are trained so it does not require too much effort. Mountain bike is also an option for your stay in the country. 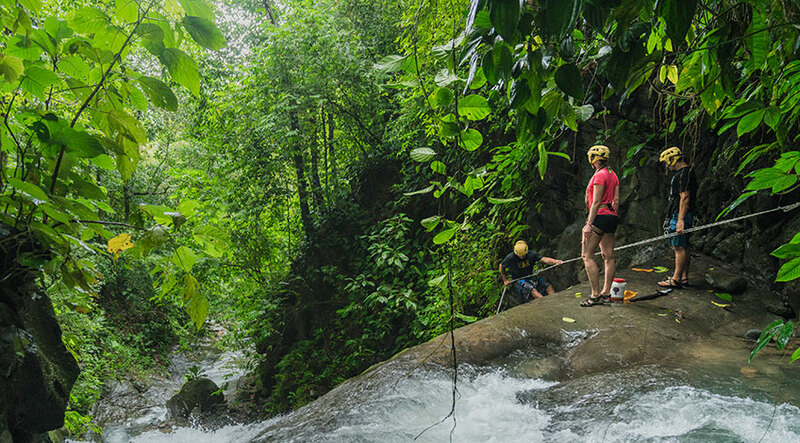 Costa Rica has a very varied and challenging terrain that will surely satisfy the most adventurous and cyclists spirits. You can enjoy biking tours in many areas according with where you will be staying. These rides are perfect for all ages and you can enjoy them with your family or friends. They are a great way to explore and discover the fascinating beauties of Costa Rica. Golf can be perfectly practiced here, even when it is not an adrenaline-filled sport, you can find some golf fields in perfect conditions if you are a lover of this sport. In Guanacaste, some of the most prestigious hotels offer various hectares of golf fields that you won’t want to leave while being there. The Central Valley also offers options to practice for the most dedicated golf players. Family adventure holiday can include kayaking, as it is one of the most family friendly adventure tours in Costa Rica, it also allow children as they can be with their parents or with well-experienced guides. 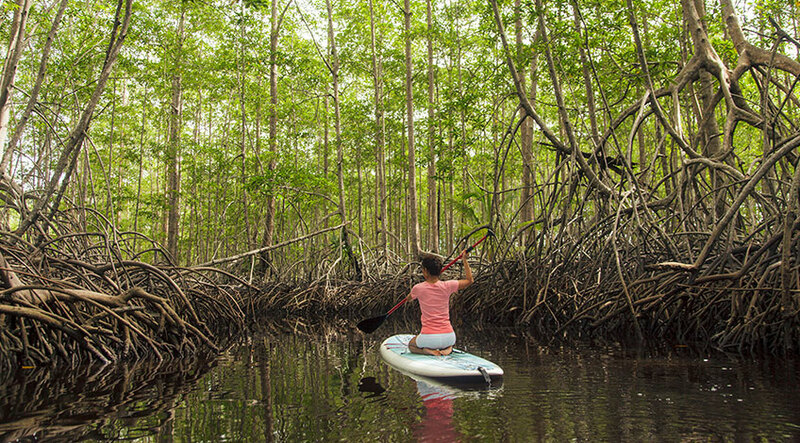 Kayaking can be done in lakes, mangroves or on the sea, each one is very different from the others, depending on where you are staying, but this is something that you will surely enjoy. Snorkeling is maybe one of the best family trips to Costa Rica; you cannot imagine how diverse our waters are, there are a lot of species easy to see, fishes of different colors and sizes, turtles and if you are lucky small sharks that are just amazing, it is marvelous to see all the life that is under water in Costa Rica. A recommendable activity for family tour packages is the stand-up paddle, a funny activity, that allow you discover the sea, when you are sliding over the sea, you can admire all the area, looking for nature, water birds and appreciating the immense sea, you will relax for the time that you are paddling. White water rafting is an activity available as one of the family things to do in Costa Rica, there are a lot of rivers around the country, where you can do it. You should ask to our experts, for the rapid level, because not all the rivers are available for children, Costa Rica offers rapids II – III – IV and almost V.
Your family adventure tours, can also include an amazing water sport, the Jet Ski, something simple but nice, a good way to explore the sea and enjoy the speed, driving over the warm water, this could be enjoyed with children, so more options for those who love water and adventure. Surf is other of the adventure sports that can be practiced here. 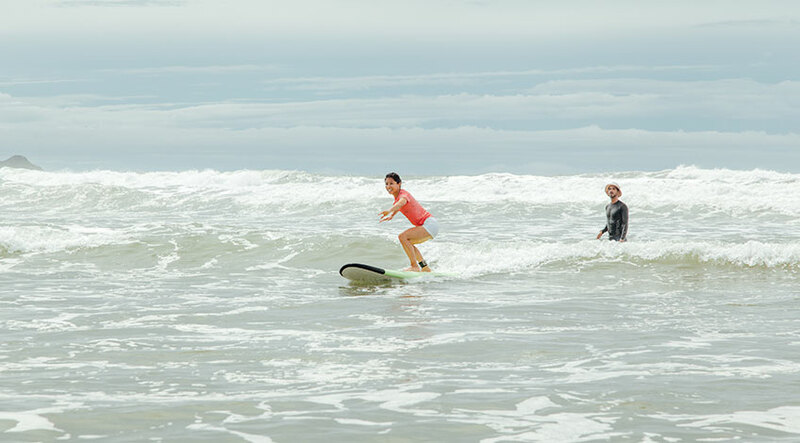 It requires a bit of experience or at least, if you want to be close to the activity and if you are not an experienced surfer, you can take some classes, which is very common in Costa Rica. But if you are a surfer, this could be your paradise, you will have the opportunity to be moving over the amazing waves. Family adventure, certainly have to include water activities and the tubing is available for those that are interested in ride on the rapids, enjoy the river water and feel the adrenaline while you are getting fun. The jungle, the pristine and beautiful Costa Rica beaches or volcanoes are just simply out this world, and if you want some serious vacation combined with sports, this is definitely your place to be. Please contact us, if you require more information or recommendations about your vacation packages, we are waiting to hear from you. Also, leave us a comment if you liked this article!